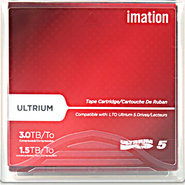 IMATION - 26592 IMATION - LTO ULTRIUM 4 TAPE CARTRIDGE 800GB / 1.6TB (26592). NEW. MINIMUM ORDER 10 PCS. IN STOCK. SHIP SAME DAY. 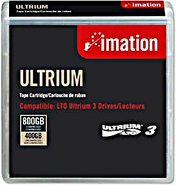 IMATION - 17532 IMATION - LTO ULTRIUM 3 400/800GB TAPE CARTRIDGE (17532). NEW. IN STOCK. MINIMUM ORDER 10 PCS.SHIP SAME DAY. IMATION - 16598 IMATION - BLACK WATCH 200/400GB ULTRIUM 2 (16598). NEW. IN STOCK. MINIMUM ORDER 10 PCS. SHIP SAME DAY. IMATION - 12132 IMATION - TRAVAN CLEANING CART TR2 TR3 TR4 TR5 TR40 DRY PROCESS (12132). NEW. MINIMUM ORDER 6 PCS. IN STOCK. SHIP SAME DAY. IMATION - 11776 IMATION - 40/80GB DLT IV 557MM DATA CARTRIDGE (11776). NEW. IN STOCK.MINIMUM ORDER 10 PCS. SHIP SAME DAY. IMATION - 16260 IMATION - SUPER DLT TAPE I SDLT 320 160/320GB TAPE CARTRIDGE (16260). NEW. MINIMUM ORDER 10 PCS. IN STOCK. SHIP SAME DAY. IMATION - 16260 SDLT1 110 220GB and 160 320GB SuperDLT Data Cartridge Tape. New Factory Sealed Product. For use with SDLT 220 and SDLT 320 Drives. ACCEPT PO FROM GOVT, HOSPITAL AND SCHOOL. IMATION - 46168 IMATION - MAGNUS 2.5GB 1200FT TAPE CARTRIDGE(46168). NEW. IN STOCK. MINIMUM ORDER 6 PCS. SHIP SAME DAY. IMATION - 12919 IMATION - DLT III/IIIXT/IV CLEANING CARTRIDGE (12919). NEW. MINIMUM ORDER 10 PCS. IN STOCK. SAME DAY SHIPPING. IMATION - 90676 IMATION - 1/2inch. BLACKWATCH 9840 CLEANING CARTRIDGE TAPE(90676). NEW. MINIMUM ORDER 2 PCS. IN STOCK. SHIP SAME DAY. 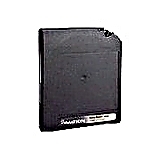 IMATION - 91270 IMATION - 1/2inch 20GB 9840 BLACK WATCH (91270). NEW. MINIMUM ORDER 2 PCS. IN STOCK. SHIP SAME DAY. IMATION - 41115 IMATION - 5.25inch SLR 30/60GB 274 METER TAPE CARTRIDGE (41115).NEW. MINIMUM ORDER 10 PCS. IN STOCK. SHIP SAME DAY. IMATION - 41069 IMATION : 5.25inch SLR/MLR SLR100 50/100GB CARTRIDGE (41069). NEW. MINIMUM ORDER 10 PCS. IN STOCK. SHIP SAME DAY. IMATION - 11892 IMATION - 5.25inch SLR32/MLR1 16/32GB QIC SUPL TAPE CARTRIDGE (11892). NEW. IN STOCK. SHIP SAME DAY. IMATION - 15874 IMATION - 3pack TRAVAN 40 TR-7 20/40GB 228.6M TAPE CARTRIDGE EACH (15874). NEW. IN STOCK. SHIP SAME DAY.